Prisoners are always watching their backs behind bars so a lot of them like to be armed. 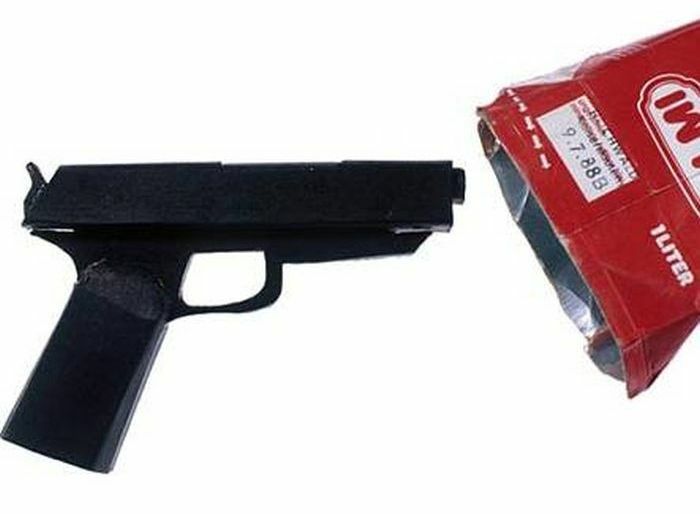 Over the years many prisoners have either built or smuggled ridiculous weapons into prison. These are some of the craziest ones. Bedpost Shotgun - One of a number of homemade weapons retrieved from German prisons, this ad-hoc shotgun was made from iron bedposts, used gunpowder made of lead from curtain tape and match-heads, and was fired by AA batteries and a broken light bulb. On May 21, 1984, two inmates used it to take a guard hostage, shoot through a bullet-proof glass, bust out of jail, and steal a car. Cardboard Pistol - Making fake guns in prison is a tradition as old as John Dillinger’s wooden pistol. But unlike when Dillinger made his crude toy, modern prisoners have access to modern woodworking equipment and tools. And so we have realistic looking fakes like this intricately carved “pistol” made of blackened, glued cardboard. It was never used, but if it had been, it almost certainly would have worked. 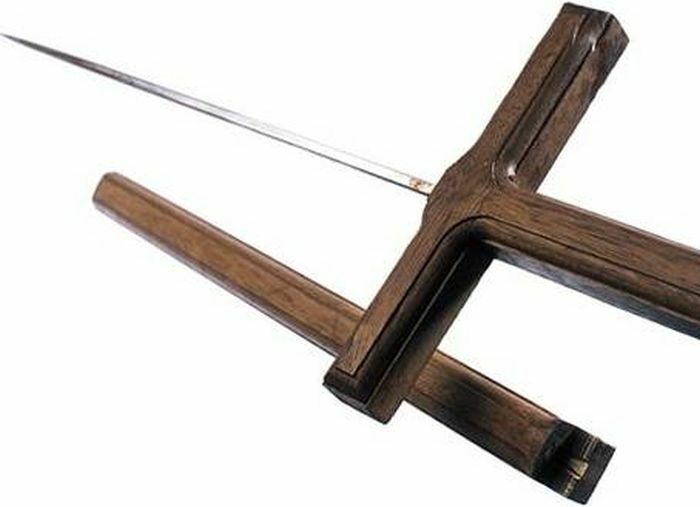 Chair Leg Nunchucks - St. Louis Workhouse inmate Lorenzo Pollard fought off a dozen armed guards and facilitated his escape using nunchucks he made out of two chair legs and a bedsheet. He broke through a window, squeezed through a homemade escape hatch and scaled two razor-wire walls, all while swinging his custom weapon around. 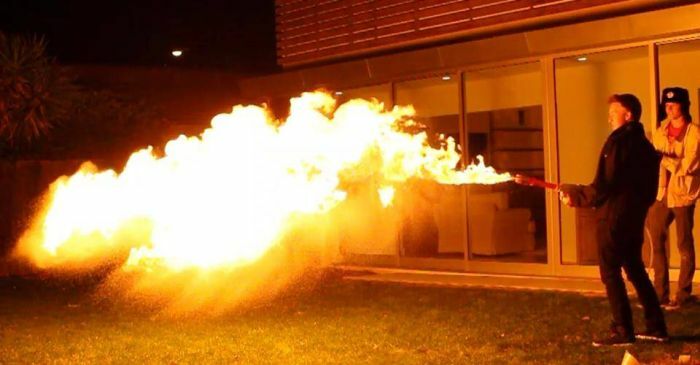 Coffee Creamer Flamethrower - The animal fat in common powdered coffee creamer can be lit on fire and funneled through a tube to create a crude but very effective flamethrower. Prison commissaries stopped carrying the stuff because so many inmate were torching their foes. Toothbrush Crossbow - A Canadian prisoner in solitary used his time to make one of the most creative and complicated prison weapons in history. 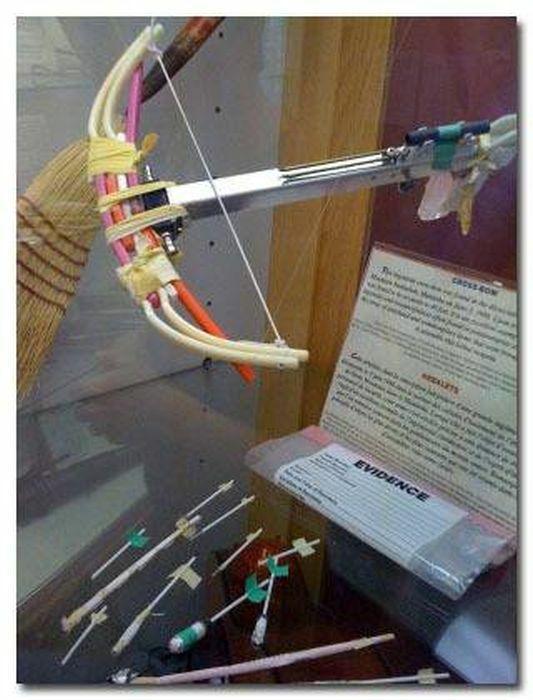 He built a full-fledged crossbow, using “10 toothbrushes, a cigarette lighter, a section of ballpoint pen casing, a piece of wire coat hanger, a section of a pair of aluminum cafeteria tongs, assorted electrical components, pieces of yellow rubber gloves, some Kleenex, a piece of string, and a few screws.” The bolts were made of tightly packed toilet paper and aluminum foil – and they could be fired as far as 40 feet. The weapon doesn’t appear to have ever been used, and was confiscated and put on display. Because it’s pretty awesome. Crucifix Shiv - For a time, inmates were allowed to make large wooden crucifixes in prison woodshops. 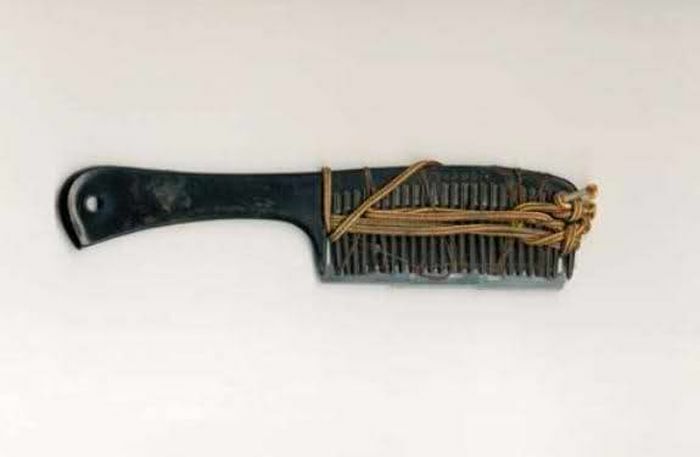 That changed when this terrifying homemade shiv was discovered in a German prison cell in 1994. 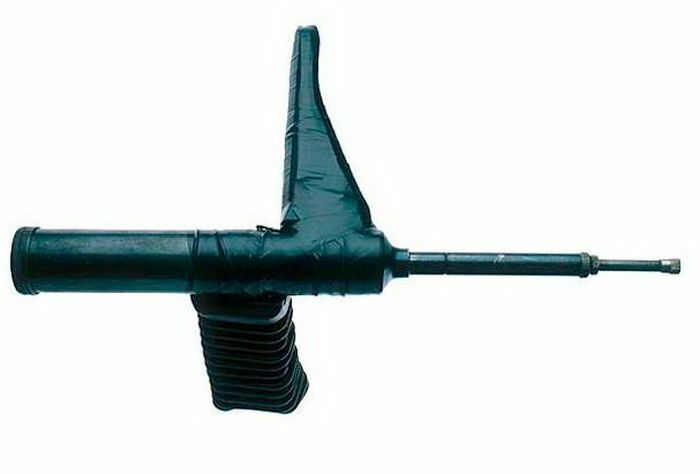 Fake Machine Gun - Looking like a dead ringer for a British Sten gun, this mock machine gun was made from a prison workshop grease injector, some wood bits, a rubber sleeve, and lots of black tape. 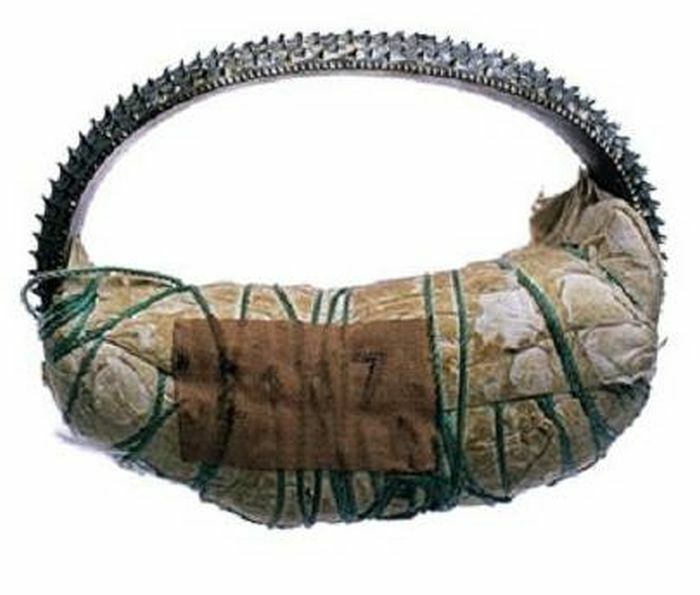 It was found in a German prison in 1994 after guards received a tip that an escape attempt was imminent. 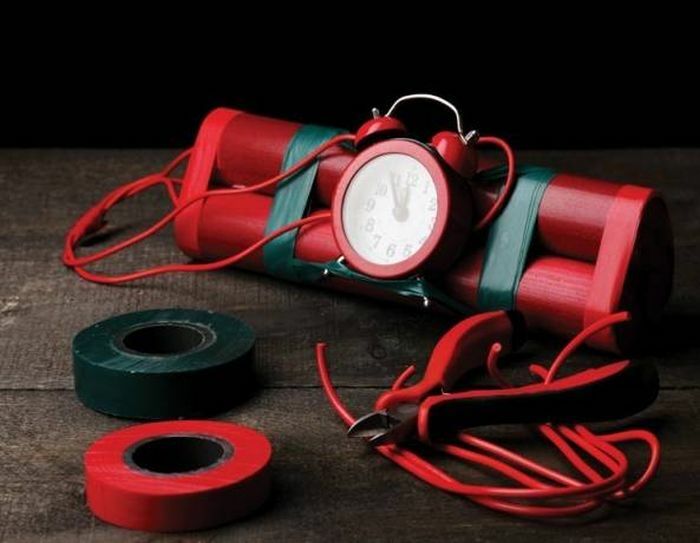 Homemade Bomb - Convicted murderer Peter Saunders , while an inmate at maximum-security Stateville Correctional Center, built a fire bomb out of a battery, electrical wires and ground up match heads in a Magic Marker, then sent it in a hollowed-out book to Federal judge Blanche Manning. The bomb was discovered and disarmed long before it got to Judge Manning, but it’s the thought that counts. 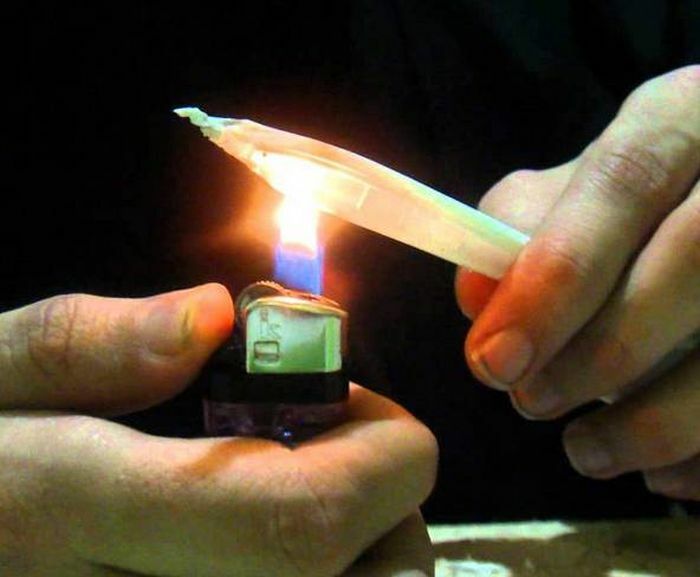 Paper Shiv - To show how easy it is to make a horrible prison weapon, officials at one jail did it themselves. They took 25 pages of National Geographic magazine, wetted them down, rolled them super tight, then dried them with salt. The result: a knife made of paper. 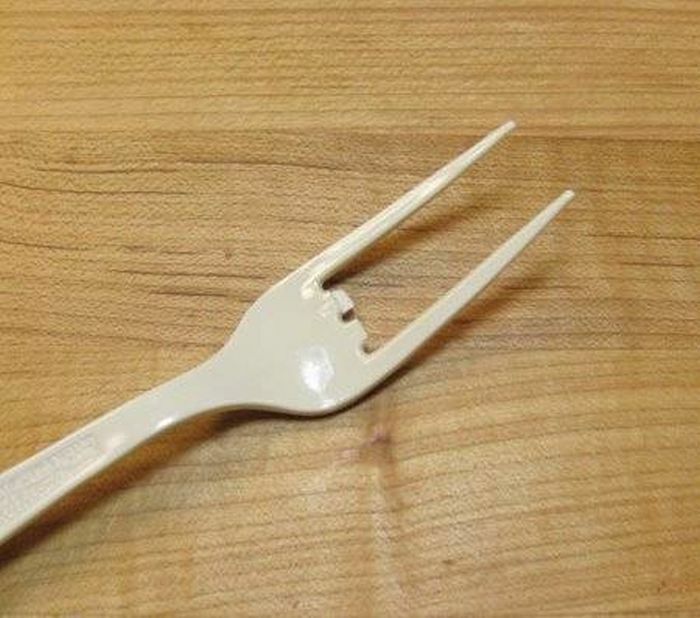 Plastic Fork Eye Gouger - Sing Sing Prison in Ossining, New York has a museum devoted to the history of the nearly 200 year old correction facility. Among the exhibits are numerous homemade prison weapons, the most notable of which might be an eye-gouger made of two plastic forks fastened together, with the middle tines taken out. Rasp Knuckleduster - Found in a German prison cell in 1993, this is a punching assistant made from a rasp that was probably stolen from the prison machine shop. The padding on the handle was likely torn out of a bed. Razor Blade Comb - Take a simple plastic comb, cut a slit down the middle of the tines, insert a few razor blades and hold the whole thing together with copper wire, and you’ve got a weapon that can do serious damage. 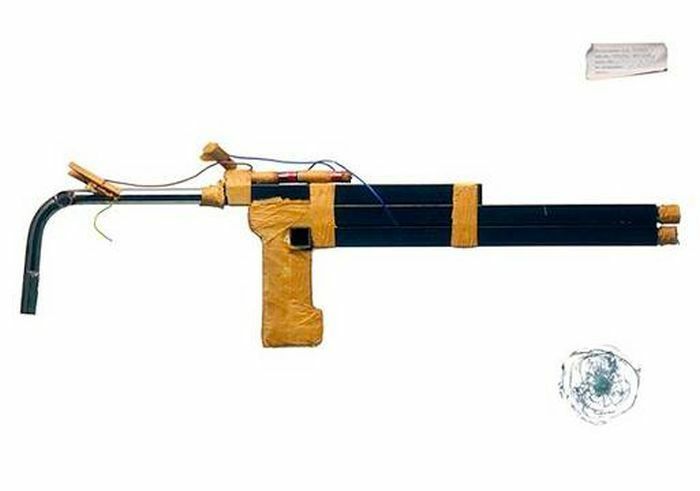 This weapon was seized from a New Jersey prison and showed how terrifyingly simple it is to make something that can horribly kill another person. Scalding Melted Candy - For prisoners, even a simple chocolate bar can evoke the comforts of home – or be used as a horrific weapon. Candy bars, particularly those with delicious caramel, can be melted down using illegal hot plates, and the scalding mess thrown in the face of an unfortunate snitch. 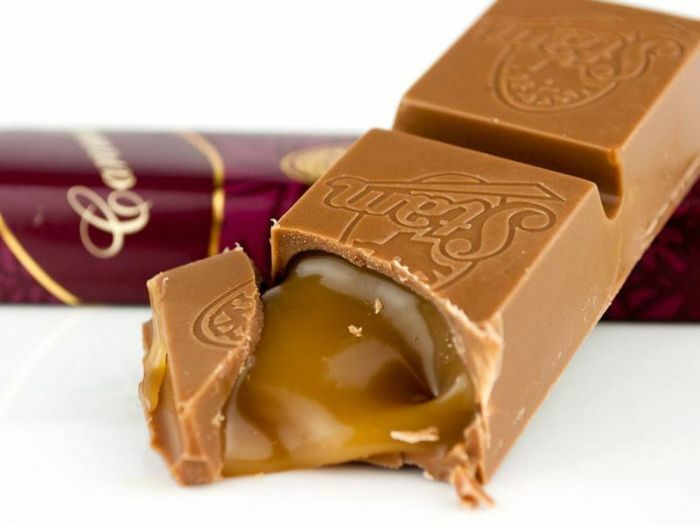 Since it hardens quickly, chocolate and caramel turn stiff when they hit and are difficult to get off. Spiked Glove - This one looks just like an ordinary gardening glove. 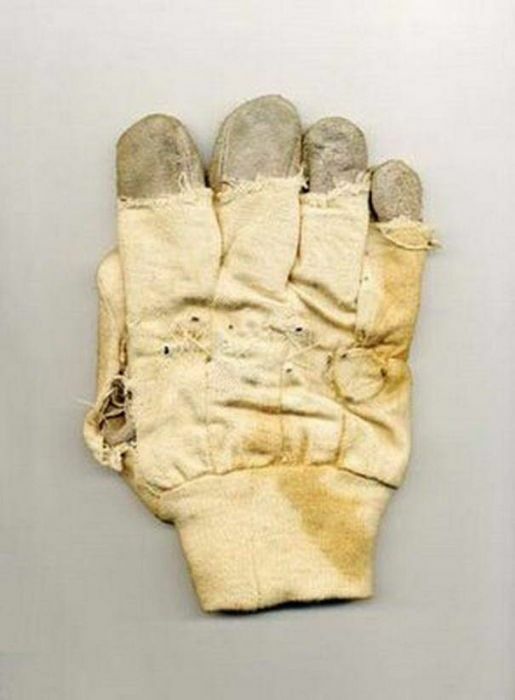 But it’s actually two gloves, one sewn inside the other – with a layer of sharp upholstery tacks fastened between them. When a slap or punch would be administered, the spikes would punch through the outer layer, causing serious damage. 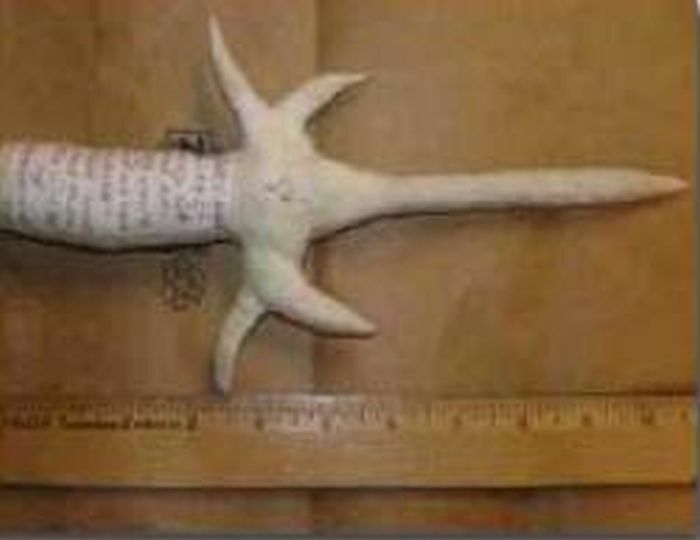 Toilet Paper Shiv - It took an Ohio inmate just a few hours to make this brutal looking shiv out of toilet paper that’s been soaked and pressed together. He never got a chance to use it, but if he had, he easily could have killed someone – then flushed the evidence just as easily. Window Glass Knife - Why don’t prison windows traditionally have glass? 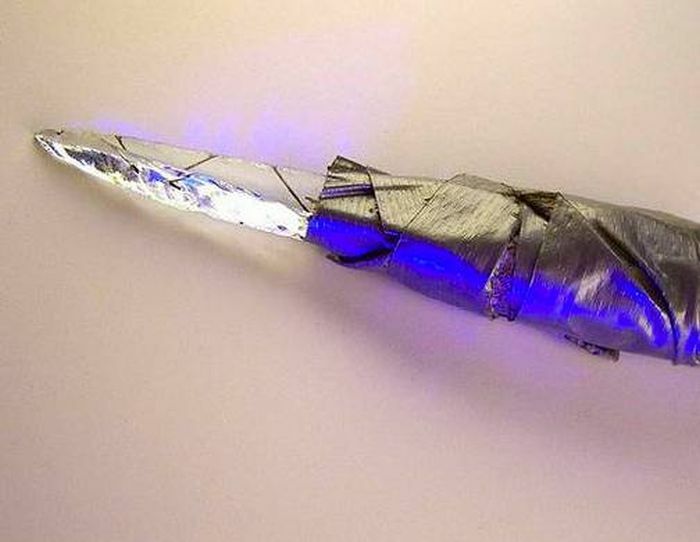 Because it’s stupidly easy to take a few shards, wrap them together and make yourself a pretty deadly shiv. There are any number of ways to flake glass down to make it sharper, reinforce it with something metallic, then tape up the handle. 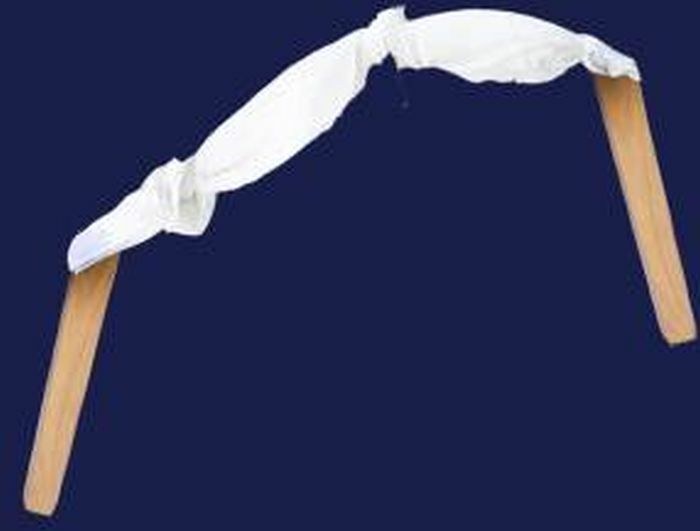 As a bonus, you can break the blade off once it’s in your opponent’s gut – making it that much more deadly. 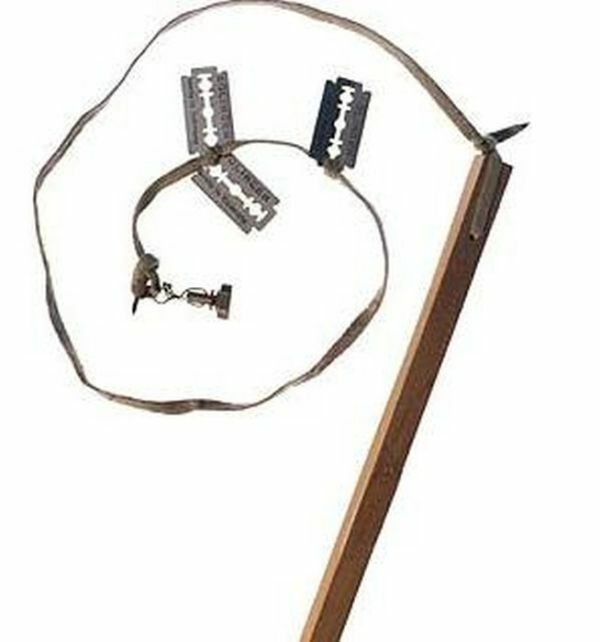 Wooden Post Razor Whip - Made of a simple wooden post, a shoelace and smuggled razor blades, this horrifying homemade weapon was seized from a prisoner in Hamburg in the 90’s. It was never used, and that’s a really good thing, given how dangerous it is.